All nicely designed, heavy functionality websites we visit on the internet everyday are created by web designers and developers working together. While designers plan out layouts and how the site will look, developers encode all its working; however, the tasks of both developers and designers overlap a lot of the time, and here are some of the resources web developers and designers rave about! Adobe BrowserLab – This neat server allows you to view your web page in different internet browsers; you can see how it will look and test compatibility and issues caused by browser differences. Necessary for any designer or developer! Dropbox – Dropbox is a file-hosting service that functions by creating storage between networks so you can share and save all kinds of files over the internet with other users or for each of your own computers – any changes you make in your files will be automatically synced in all copies of the file. It is a great way for teams to collaborate on a project and has virtually eliminated the need for shared network drives. Stack Overflow – Programmers know this too well: getting stuck on a problem or a bug that just won’t go away. Then they turn to Stack Overflow, a community of programmers and web designers who are there to answer your problems and queries and help you out; the website contains a wealth of information on all kinds of issues developers may face. Fonts – Web designers know how to mix and match the graphics and wording on websites to make it easy on the eyes and appealing to visitors. Countless font resources are available online; a few popular free resources include that of web design blog 1stwebdesigner.com and smashingmagazine.com collection. 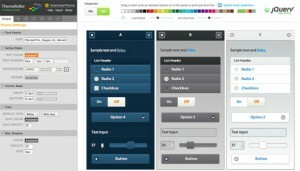 Color Scheme Designer – This web-based application is all about colors. You can use the many available tools and create color schemes using a number of base colors to produce beautiful and effectual web pages. 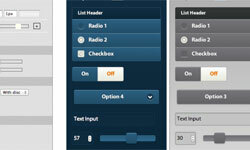 jQuery Themeroller – Using a simple interface, you can create custom stylized CSS with common controls using jQuery Themeroller – the interface is fun and makes designing custom themes easy. iStockphoto – Huge, go-to photo resource where you can choose and test pictures in your designs and then purchase them if they work for you – an especially useful feature for when showing options to a client for what they want. Resources for web designers and developers can be found all over the internet, as web-based applications, content websites and plugins. Web design services, such as SimpleSEOGroup.com, use such resources and more to create high quality, professional websites for small businesses and corporations. Web designer and developer teams efficiently produce customized websites per clients’ wishes.